Online pharmacies are among the most convenient innovations that came out of ecommerce. However, they also provided dishonest individuals another chance to dupe others into divulging personal information like credit card numbers. Since there are too many of them out there, it can be hard to distinguish among fraudulent sites and real online pharmacies. Online pharmacies are required by FDA regulations and U.S. law to provide consumers information on the product's functions, limitation, contraindications, indications, and side effects should be provided. Accreditation from the Joint Commission on Accreditation of Healthcare Organization is a sure sign of a secure online pharmacy. Legal online pharmacies also have confidentiality policies that protect a consumer's privacy rights. Since they have nothing to hide, legal online pharmacies provide their customers with means of contacting them for inquiries or potential complaints. Contact information can take the form of email addresses, chat clients, and fax and phone numbers. Aside from these three primary qualities, legal online pharmacies sell only FDA-approved drugs, discounted and competently priced medications, and require prescription for prescription drugs. 1. Identify your basic health care needs. Identifying your health care needs puts you in a position to assess whether an online pharmacy can work well for you. If you need common prescription medication and standard OTC drugs, any online pharmacy can deliver these goods right at your doorstep. However, if you need specialized prescription medication, you probably have a better chance in signing up for a major online pharmacy. Keep in mind that it is illegal to buy and sell prescription medicines without a valid prescription. A prescription is only valid if it is signed or approved by a licensed health practitioner after an examination of your physical condition or a thorough evaluation of your self-reported medical history. If you have no aversion to personal consultations or have some free time, you may want to go for an online pharmacy that relies on traditional prescription. 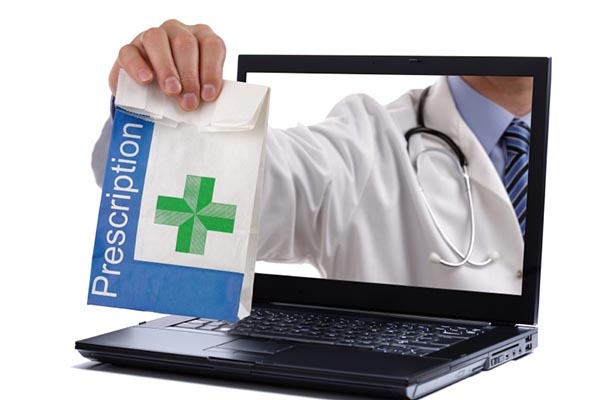 However, if you are busy or uncomfortable with personal consultations, you may want to sign up for an online pharmacy that allows for remote consultations. 3. Opt for an online pharmacy that is easy to use. Dealing with complicated order processing or registration at online pharmacies can be tough if you are not tech-savvy. Aside from this, complicated processes can cause confusion and be time-consuming. As much as possible, opt for an online pharmacy that is easy to navigate with a simple ordering process. This way, there are lesser chances for mistakes in placing your orders. Online pharmacies are convenient, but only if you know how to choose a legal one that fits your lifestyle and health care needs.